MarketFeeder + VPS = BetVPS! Beta-testing of the new service is open! We, WellDone Creative Software, a company developing popular trading bots and services for the BetFair online exchange, offer our existing and prospective customers a virtual desktop service - a remote virtual machine running Windows. 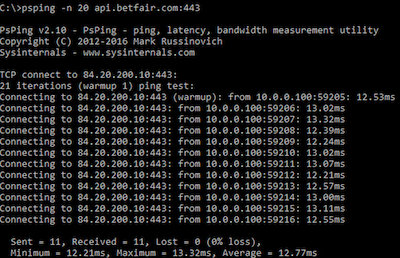 The machine is physically located close to BetFair servers and can be monitored via browser from anywhere in the world. Your virtual desktop will be accessible and connected to the exchange at a high speed. You will be able to run trading bots non-stop, controlling them from any device (computers with any OS, Android or iOS tablets, smartphones). Our betting VPS service will also help if your ISP is blocking your access to BetFair or if you have a slow Internet connection. Your betting will no longer depend on unpredictable circumstances beyond your control. Trust – Our 15-years history in this market has proved our customers that we are a trustworthy company. We do not steal your strategies, we do not sell your data, we respect and maintain your privacy. We are there to help! 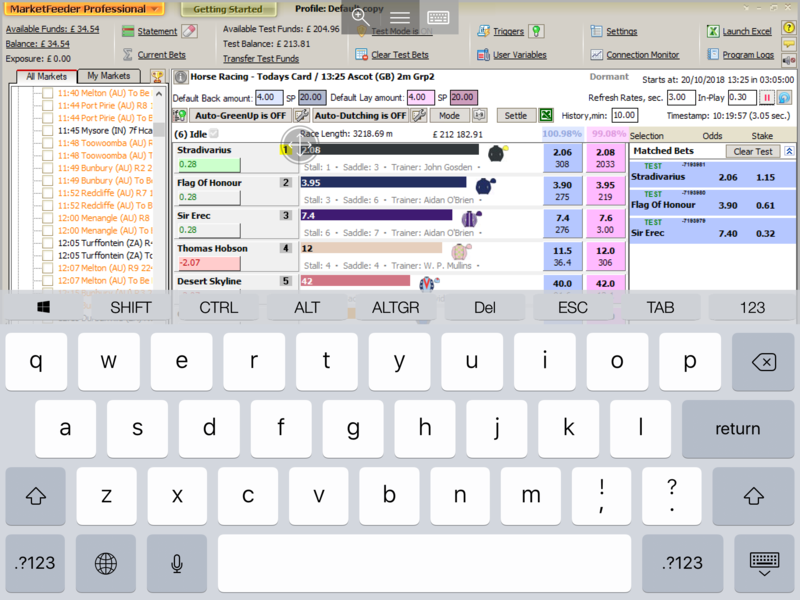 Cost – the cost of your virtual desktop already includes a subscription to MarketFeeder Pro. Put two and two together, and you will get a more than competitive cost compared to similar VPS specifications available on the market. You pay £30 – and get everything you need to trade on BetFair non-stop. Quality – hosting services are not our primary business, so we do not oversell our server space (we do not sell more space that physically available on a server) – all of the virtual machine resources claimed in the specification are genuinely allocated to each VPS user. Convenience – You will have your own at-a-glance VPS dashboard where you will be able to not only control your VPS operation (start, stop, etc. ), but also view MarketFeeder Pro logs without the need to connect to the server using a remote desktop manager. Although rest assured that you will have remote desktop access to your VPS. You get a fully configured, ready-to-use trader workstation. All you will have to do is log in to the program using your BetFair credentials and activate your copy of MarketFeeder Pro and/or Time Machine with your subscription key (obviously, we can’t go that mile instead of you). We will help you set up your VPS and give you a hand with MarketFeeder Pro. Please note that this service is still in a Beta-testing mode. You might experience some delays with set-up, occasional freezes or glitches, although we are committed to fixing those asap, and we have tested the service with several users already. Re: MarketFeeder + VPS = BetVPS! Beta-testing of the new service is open!